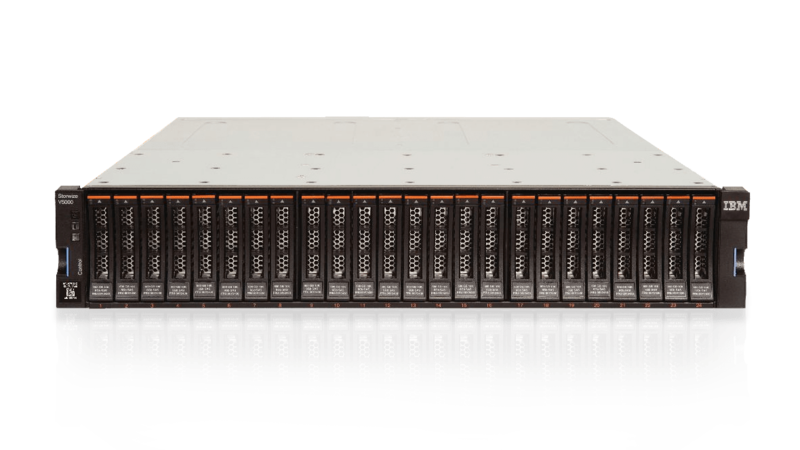 IBM® Storwize® V5030F is an all-flash storage system that provides high performance and advanced management functions. Built with IBM Spectrum Virtualize™ software, this solution features highly flexible, easy-to-use storage. Now organizations with mid-range application workloads can efficiently and affordably meet the challenges of rapid growth and constrained IT budgets. Maximize efficiency and save money with innovative features like new data reduction pools that include both deduplication and compression. Leverage IBM Spectrum Virtualize to extend heterogeneous data services to more than 440 storage systems. Extend the life of existing assets and manage your infrastructure using a single system. All-flash performance improves core application response times to help you speed insights, accelerate innovation and gain competitive advantage. 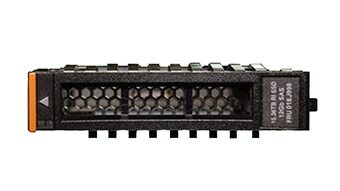 High-density expansion enclosures easily scale into the petabyte range. Dual clustering enables growth from smaller configurations. Flash drives that are four times as dense dramatically reduce price per GB and lower TCO. Storwize V5030F gives you the full power of storage encryption inside the hardware arrays and in the IBM Spectrum Virtualize management layer.